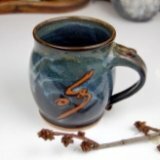 The right pottery supplies and ceramics tools at the right price can be hard to find. 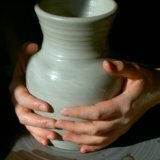 Get ceramics supplies that suit your needs or learn how to create your own clay tools. These can be purchased in a kit in the Pottery Supply Store for around $13.00 or you can make most of them for even less. 6) Trimming tools for finishing the bottom of the pot. 7) Carving tools for adding designs. 8) Stamps for imprinting textures. 9) Shammys for controlling water and finishing the rim. 10) Sponge on a stick for getting water out of the bottom. 11) Brushes of various coarseness. 12) Squeeze bottles for applying slip. 13) Large, small, and unique shaped ribs for shaping the pot. 14) Calipers for measuring pots, lids, and rims. 15) Ruler, also for measuring. 16) Throwing sticks for reaching into tall, skinny pots. 17) Paddles for shaping, thinning, and adding texture. 1) Cutting Wire - Make a cutting wire by connecting heavy fishing wire between two ink pens or small dowels. 2) Special Ribs - Make a rib using scrap wood or an old music CD. Simply cut it and sand the edges to the desired shape. 3) Free Shammy - Make a shammy using a strip of plastic grocery bag. This is a great way to polish the rim of your pot. 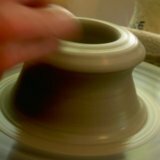 Just wrap it gently over rim while the pot is spinning. 4) Stamp Roller - Create your own stamp roller by rolling a slab of clay into a tube. When it's leather hard carve a repeating design into the surface. Bisque fire it, then roll it onto your clay pot projects. 5) Pens - I frequently sign my pots with ball point pens. The ink part doesn't work, but the tip is just right for incising a quality line into damp clay. 6) Forks and Fabric - Both are great for adding texture to damp clay surfaces. 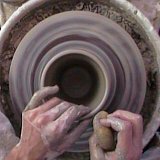 Have fun experimenting with different homemade ceramics tools and Happy Potting.